Marketplaces and prices shown matched UPC number 841058022503 during our search. 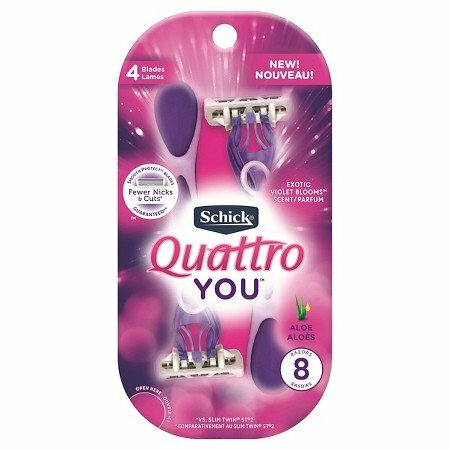 Schick Quattro YOU™ Exotic Violet Blooms: SmoothProtectTM blades for fewer nicks and cuts* - guaranteed** . 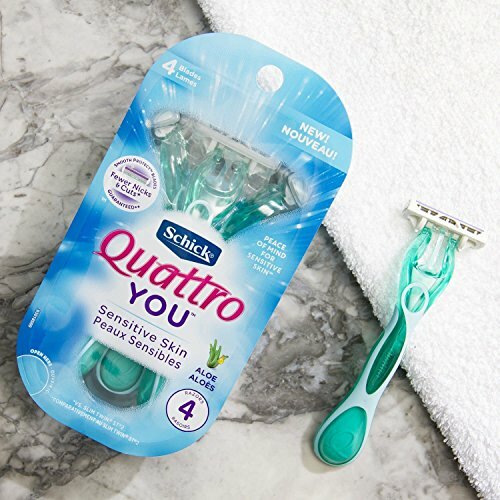 Introducing NEW Schick Quattro YOU™, disposable razors for women uniquely designed to protect your skin and offer you a shave so close, you can skip a day or two. 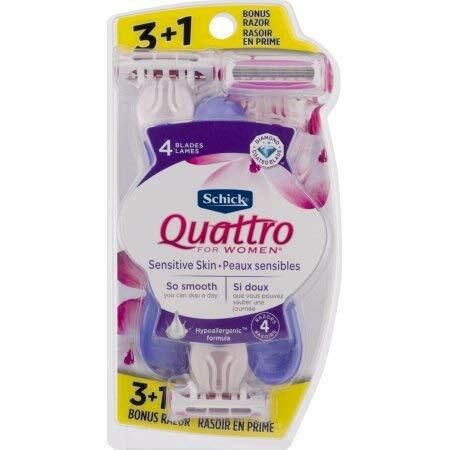 With SmoothProtectTM blades, you get the smooth, long-lasting shave of a 4-blade razor at the price of a 3-blade. *** You also get fewer nicks and cuts* - guaranteed. ** And the shiny, brightly-colored handles are scented with the fragrance of Exotic Violet Blooms.